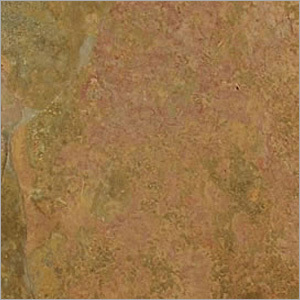 Rajah Multicolour Slate is natural colored slate with matchless colors to develop a stunning, natural look. Natural finishing with low sheen and luster make it ideal to add a rustic look to the decors. This comes with random variations in tone to merge with any kind of interiors and exterior applications. With excellent water absorption capacity, this; provides anti skid surface to walk. Moreover, heavy duty design with maximum durability makes it ideal to be used at places having adverse weather conditions. This is frost resistant with minimum break ability and maximum life. This cost effective product comes in different specifications.